According to studies, each colours have an impact on our everyday performance. It can make you feel happy and relaxed. However, darker shades tend to be more dramatic and can make you feel anxious or sad. Whatever shade you want to use it is vital to choose the one that best suits your home. So, which shade would you like to use? 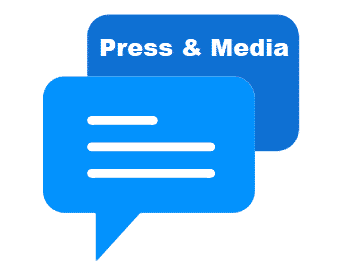 Have a look at the following and let us know your thoughts. Are you a beach lover? 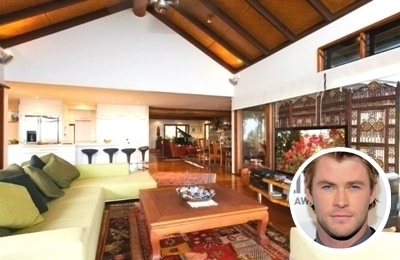 If you are then you will definitely fall in love with Chris Hemsworth’s multi-level home that has a marvelous view of the beach in Australia. His massive sized living room uses a complementary colour palette which makes the room look vibrant and warm. It portrays the tranquil feeling you will get for being in harmony with nature. Nothing beats the calm feeling you will get when you’re close to nature. Have a look at Nicole Kidman’s relaxation room. 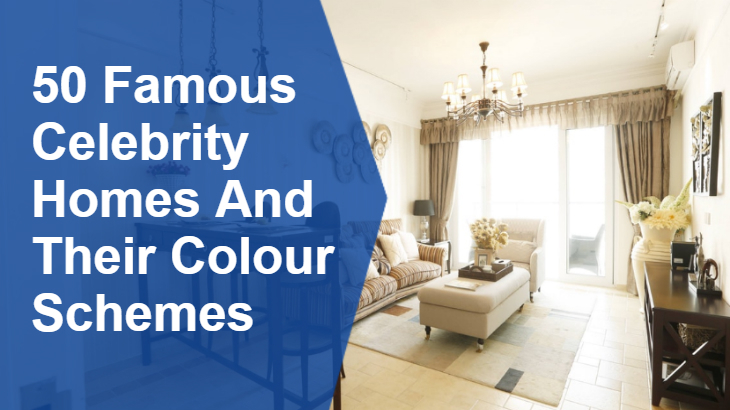 They use an ivory colour palette which keeps the room warm, welcoming, and it blends wonderfully with dark coloured furniture. 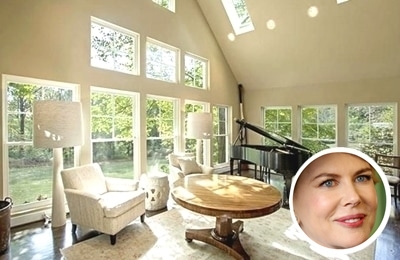 Plus the massive windows make the room look spacious, airy, and allows you to view the trees. Very relaxing indeed! 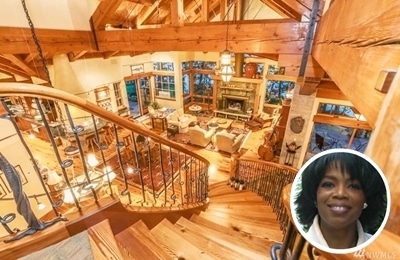 Famous TV personalities like Oprah Winfrey also needs a break. Hence, having a cosy and relaxing house is vital. The house has wood features and a yellow and orange interior colour. This colour scheme instantly makes your room bright, cheerful, and fresh. If you’re looking for a house that adds life and helps dispel darkness, then consider this design. 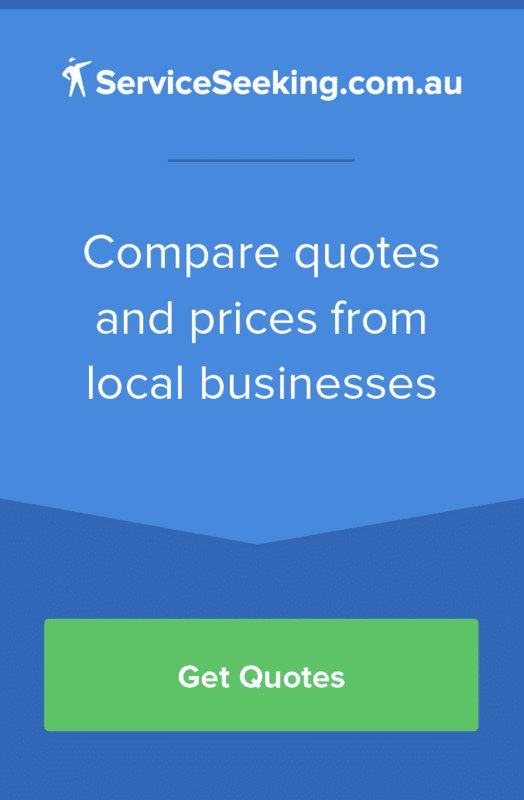 Did you know that Italian-style home is popular? Take it from the “Cake Boss” himself. 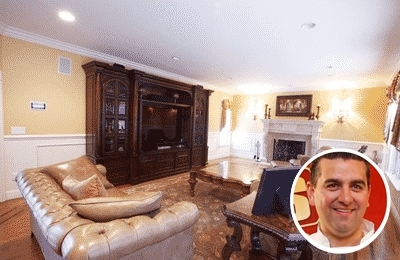 Here’s how Buddy Valastro’s family room looks like. Yellow is best known to uplift emotions, increases your focus, and mental activity which is essential when creating delicious pastries and cakes. It reflects the joy of sunshine and delivers happiness inside the room. Picking the right colour for your living room can be an overwhelming task but you can never go wrong with white. 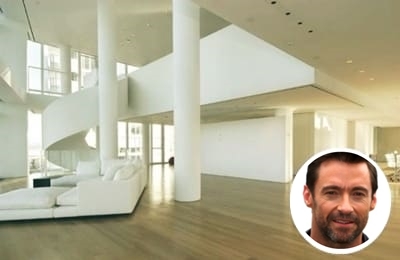 This shade can make any room look clean and versatile just like Hugh Jackman’s enormous living room. The white shade looks great on a contrasting background like the brown coloured floor and warm lightings. Every writer needs inspiration. Having a solemn, quiet, and relaxing environment is essential in order for them to come up with a good content. Joanne “JK” Rowling is a famous British novelist and she uses a neutral colour palette to achieve a serene and airy room. The pink massive sized sofas add vibrance to the room. Mariah Carey is a famous American singer and songwriter who is best known for her signature whistle and melismatic style. Her passion for fashion is not only when she’s on cam – here’s how her elegant bathroom looks like. You can never go wrong with a white coloured wall as it keeps the room look clean. Incorporating it with gold adds sophistication and glamour. The dining room is considered the second critical place of your home. Hence, it is vital to keep it clean, well lighted and spacious. A white paint can create an illusion of a wider and brighter dining-room just like the famous actor Mark Wahlberg’s dining area. This colour allows the furniture and decorations to stand out. Add a French candle chandelier for a more elegant look. LeBron James is a famous American professional basketball player. He recently bought a $23 million mansion in Los Angeles. 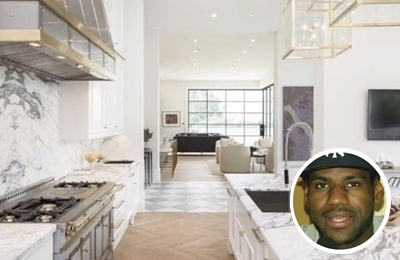 One of the highlights of his new home is his well-designed kitchen. The white coloured ceiling and wall make the room look bright and spacious. 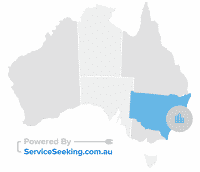 Using a white colour paint in your kitchen helps keep the temperature low and resist heat. Miranda Kerr’s passion for fashion obviously did not limit her in designing her luxurious and sophisticated looking dining area. The dark gray coloured wall is a mysterious accent or backdrop that adds warmth and depth. This colour immediately adds elegance without being too firm. While the white chairs on the other hand create an invigorating and clean look.